60cc syringe for 3DChoco- Sterile syringe dosing 60cc for use with the set 3DChoco. N.
Discount available! 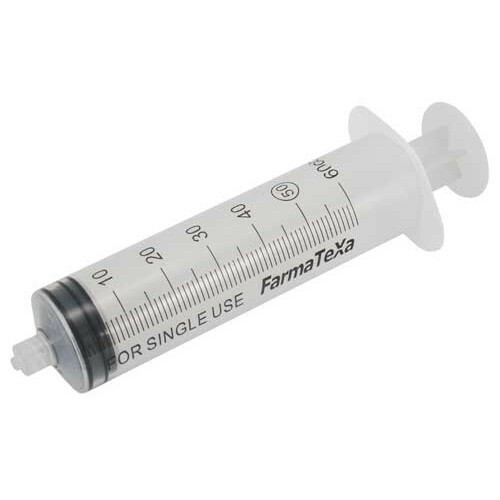 Recommend 60cc syringe for 3DChoco to your friends and get your Discount. Sterile syringe dosing 60cc for use with the set 3DChoco. N.B. the needle is sold separately. The system that we use to depose the melted chocolate consists on heating the body of the syringe an..
Needle fo specifically for 60cc syringe for use with the set 3DChoco. N.B. the syringe is sold separ..